Why Do I Need Marketing Automation for My Business? Countless big businesses are now turning to marketing automation to generate more productive leads and more revenue. It is the evolution of online marketing and the most-efficient method for gathering, profiling, nurturing, and converting website visitors into consumers. 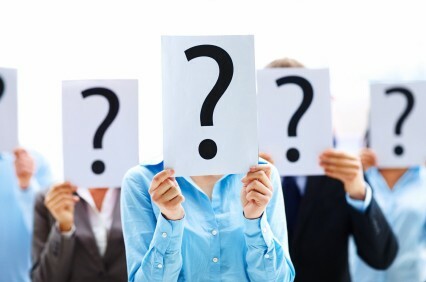 It is not surprising that almost every business owner is now asking the question; why do I need marketing automation? Every online business can benefit from marketing automation. It generates quality leads that are nurtured to generate revenue. There are so many impressive success stories surrounding its effectiveness and it has been proven to convert 50% more leads than traditional marketing. In an earlier blog; Why Marketing Automation is Revenue Generating Software, I listed nine ways marketing automation will generate more revenue for your business. This article will cover a few other reasons businesses need marketing automation software. Why does your specific business need marketing automation? It doesn’t matter what industry you are in or how big your company might be. You need marketing automation for your business if you are trying to compete for customers online. You will also need marketing automation to ensure your business is not missing out on opportunities. It is estimated that 95% of visitors will lead your site unnoticed if you don’t use marketing automation’s website visitor tracking software. Your business will need marketing automation if your sales team works with leads. Most sales professionals will blame their own poor performance on insufficient leads. Marketing automation captures every lead that comes across your site or related social network profiles. It then uses the website visitor tracking software to profile each lead and rank them based on their potential for conversion. Only the highest quality leads will be passed onto the sales department. Potential leads that are not ready for conversion are nurtured using helpful newsletters and email campaigns. A professional lead nurturing campaign will build brand authority and inspire the lead to make a purchase. Marketing automation software guides leads throughout their buying process. Any business that wants a simplified method for coordinating and managing their marketing activities will benefit from marketing automation. Marketing automation software is able to organize various campaigns, applications, programs, and CRM platforms. Businesses that want a better system for monitoring ROI on their marketing efforts will also benefit greatly from using marketing automation. Marketing automation provides useful reports that analyze and calculate the marketing automation plan’s ROI. It can show what techniques are working and which ones need revamping. Are you still wondering why you need marketing automation for your business? The best way to realize the benefits of marketing automation software is to try it out. Once you see the impressive results, there will be no question in your mind as to why your business needs marketing automation software. https://www.leadliaison.com/wp-content/uploads/2013/04/Lead-Liaison-Logo5.png 0 0 Lead Liaison https://www.leadliaison.com/wp-content/uploads/2013/04/Lead-Liaison-Logo5.png Lead Liaison2013-09-30 06:00:022014-09-12 18:20:55Why Do I Need Marketing Automation for My Business?